Halloween. What's not to like? You get to dress up in a costume, carve a pumpkin, and people give you candy. 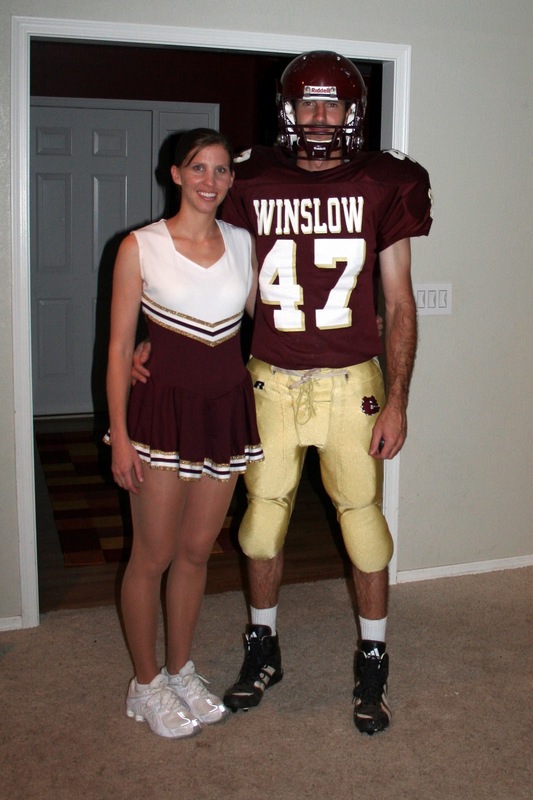 We even got in on the action this year and went to an adult costume party...as a cheerleader and football player. The kids recycled their costumes from last year and went as the crew from Snow White, complete with a prince and Grumpy Dwarf. Tatum wanted a happy jack-o-lantern, and Talan wanted a scary one. I never thought i would see you in a cheer leading uniform. that made my day. :) i love the tights and everything. Thats great that the kids wanted to be what they were last year! I agree with Jamie!! Love you in a cheer uniform! Looking fabulous!